Are you looking for quality training in Microsoft applications? 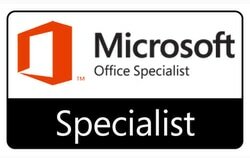 We run scheduled training courses in Excel, Word, Project, Access, Visual Basic, PowerPoint, Visio, Publisher and Basic Computer Skills. We offer on request training in Outlook. If you have training requirements, talk to us, we fit our training to your needs. Bay Software Consultancy Ltd aims to empower individuals and businesses by providing quality training courses and consultancy services. We help you get the best out of Microsoft applications. Our commitment to developing your skills in the Microsoft applications means that if you book on a course - the course will run. Tell us what you need and we will give you a quote for us to do the work for you or arrange training so that you can do the work yourself. Our training suite is located on Wharf Street in the heart of Tauranga City. We will travel and bring our training to you if Tauranga is not your location. We bring training to the Tauranga area and wider Bay of Plenty region, from Thames to Taupo, Te Awamutu to Whakatane. Finding it difficult to find the time to come to a scheduled course? Don't worry, ask us about training on site. Do you want to keep up to date with the courses running each month? Simply add your contact details to our monthly training update email. Click here to send us an email with your enquiry and we will get in touch with you.